Brockholes is a nature reserve near Preston in Lancashire. It is a relatively new attraction and is well worth a visit. 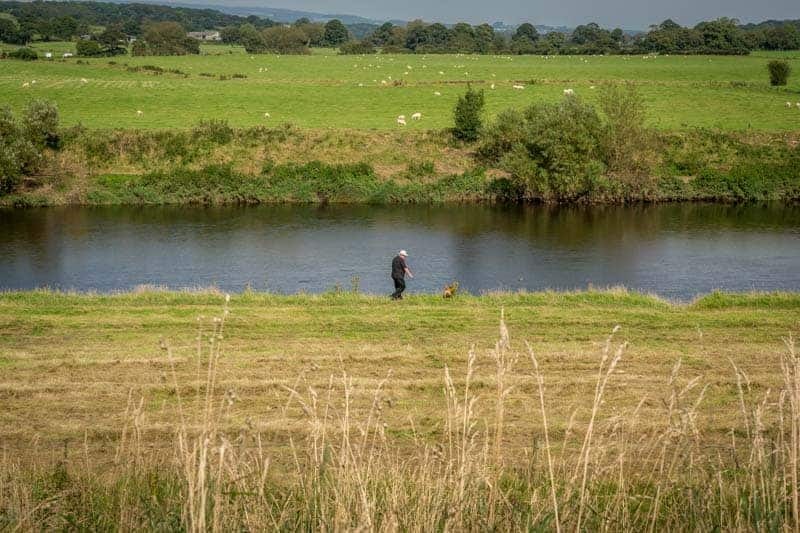 It is owned and managed by the Lancashire Wildlife Trust (LWT). 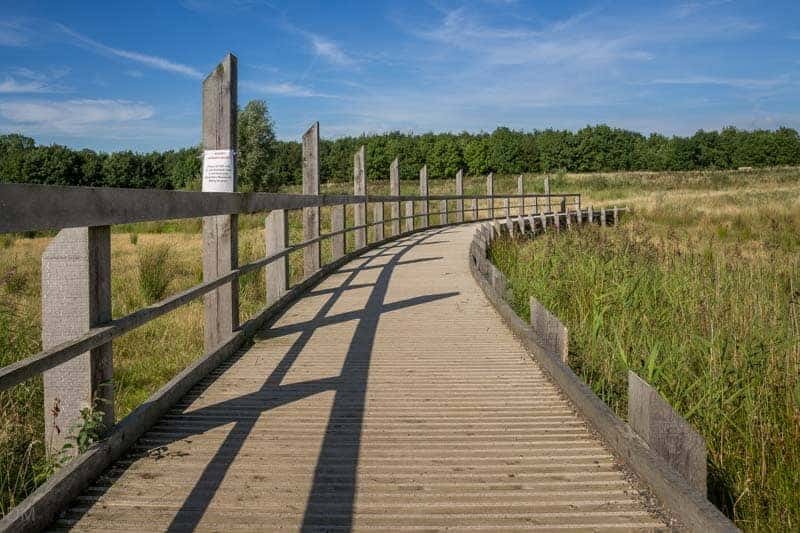 The reserve is situated on the site of a former sand and gravel quarry, close to Junction 31 of the M6 motorway. You’d never realise this though. Since purchasing the site in 2007 the LWT has done a fantastic job in transforming it. Brockholes looks like a nature reserve that’s been around for decades and noise from the busy motorway is non-existent. 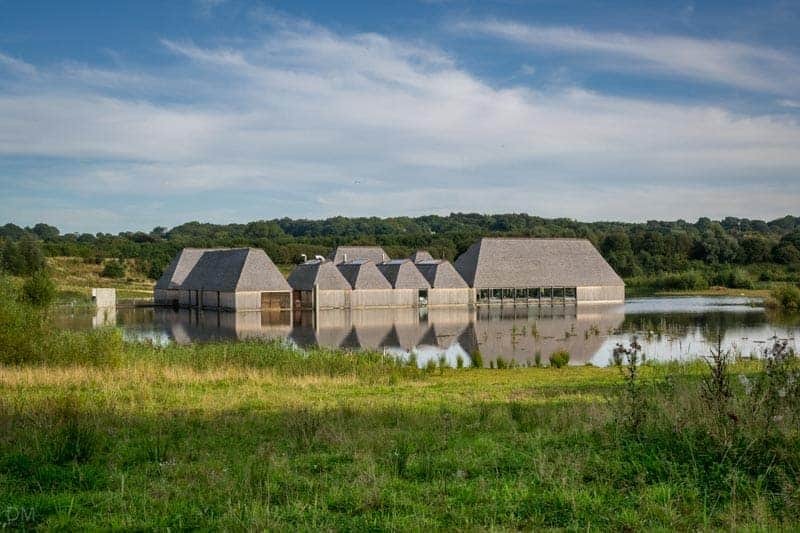 A unique feature of Brockholes is its floating Visitor Village. A cluster of wooden buildings at the edge of a lake sit on a huge pontoon that rises and falls with the water level. The innovative design by Adam Khan Architects has won a multitude of building and architecture awards. The Welcome Centre at the Visitor Village is the best place to begin your visit. 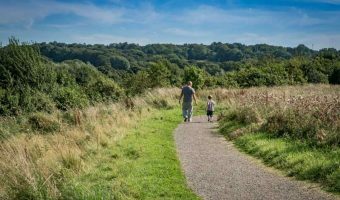 Here you can pick up a map of the site and walking trails, learn about the history of the Brockholes, and discover what kind of wildlife you may encounter. The staff are extremely friendly and are more than willing to answer questions and provide advice. 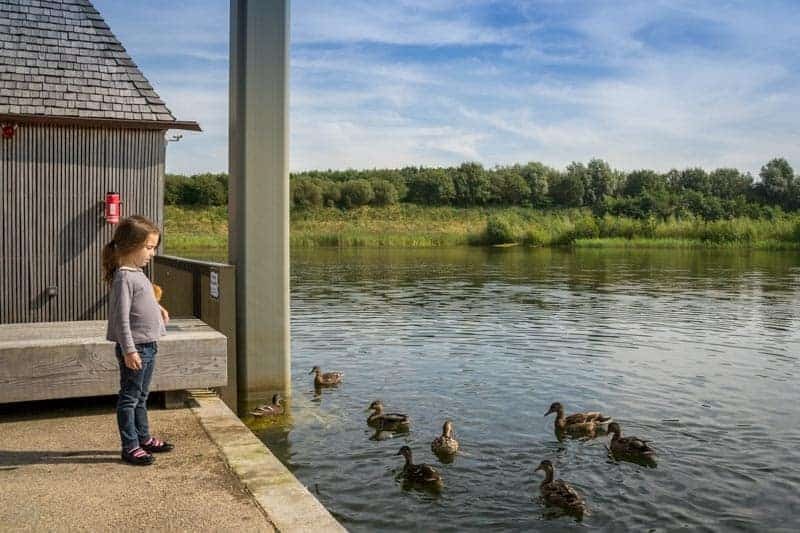 Brockholes is home to many kinds of wildlife, though it is best known as a habitat for migrating birds. Species here change with the season. Visit in spring and you may see curlews and willow warblers. In autumn lapwings and green sandpipers are likely to be here. Don’t think that Brockholes is just for birdwatchers. Most visitors aren’t. The reserve has much more to offer, especially to families. The play area here is excellent. It was great when we first visited but got even better in 2014 when it was extended into the woodland. 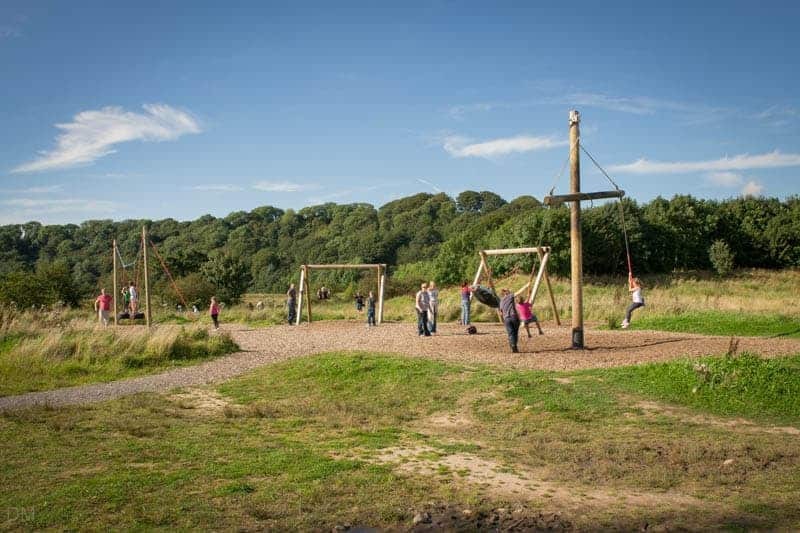 The Climbing Forest is a low-level woodland adventure course with beams, ropes, walkways, and a slide. 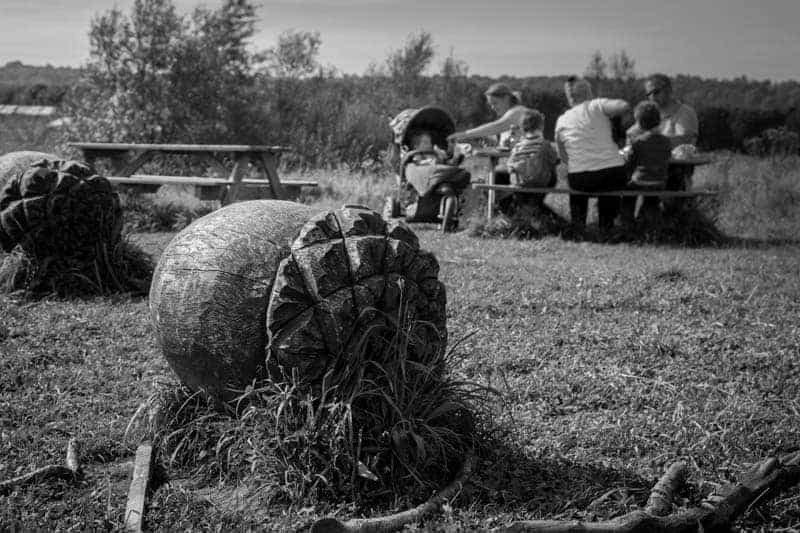 There’s nearly always something going on at Brockholes. 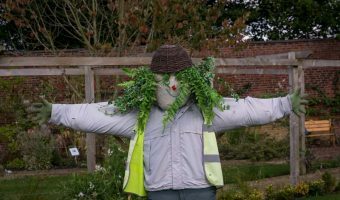 The regular events programme includes free guided walks, art and craft workshops, craft fairs and more. Special events are also held. 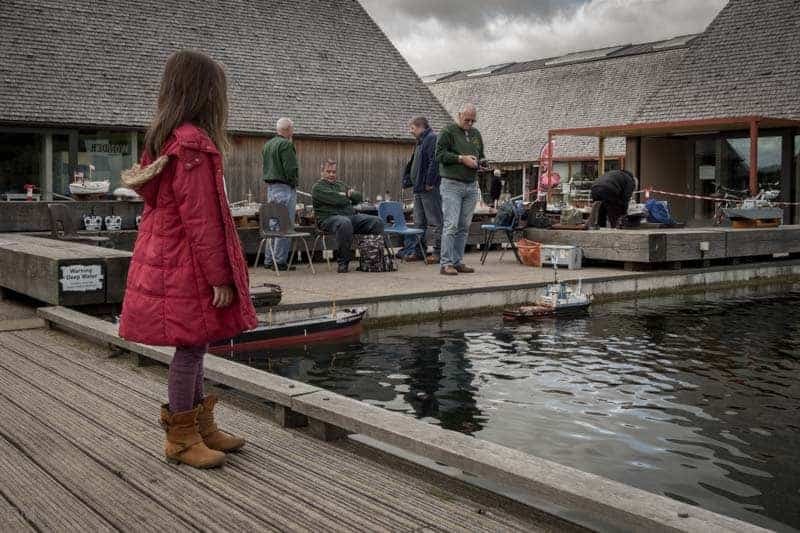 On our last visit (September 2015), the Ribble Model Boat Club were exhibiting and demonstrating model boats. 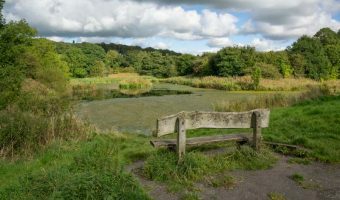 Brockholes has three marked walking trails. The Gravel Pit Trail is the easiest and takes around thirty minutes to complete. It is suitable for pushchairs and wheelchairs. The longest is the Reserve Trail. 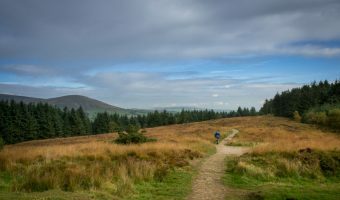 This two mile walk encompasses the whole reserve and takes around two hours. 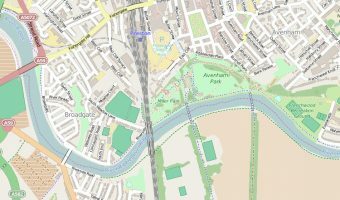 A map showing all the walks can be picked up free of charge from the Welcome Centre. 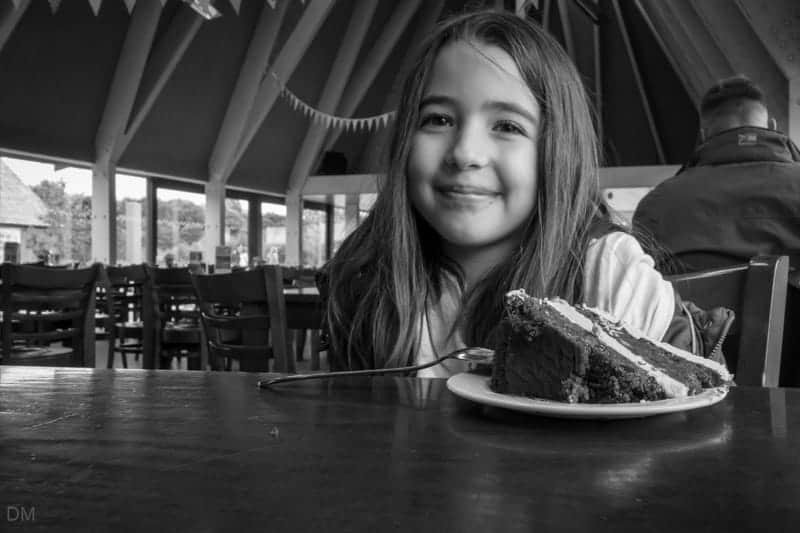 The Restaurant at the Visitor Village offers meals, sandwiches, cakes, ice cream and more. It’s an airy space offering excellent views of the water and wildfowl. There are also public toilets and an ATM here. The Visitor Village is also home to the reserve’s gift shop, The Nest. Brockholes is open seven days a week throughout the year. Opening times for the Visitor Village in the summer season (April to October) are 10 am to 5 pm (gates to the reserve open from 6 am to 9 pm). Winter season opening hours are 10 am to 4 pm (gates open 6 am to 7 pm). 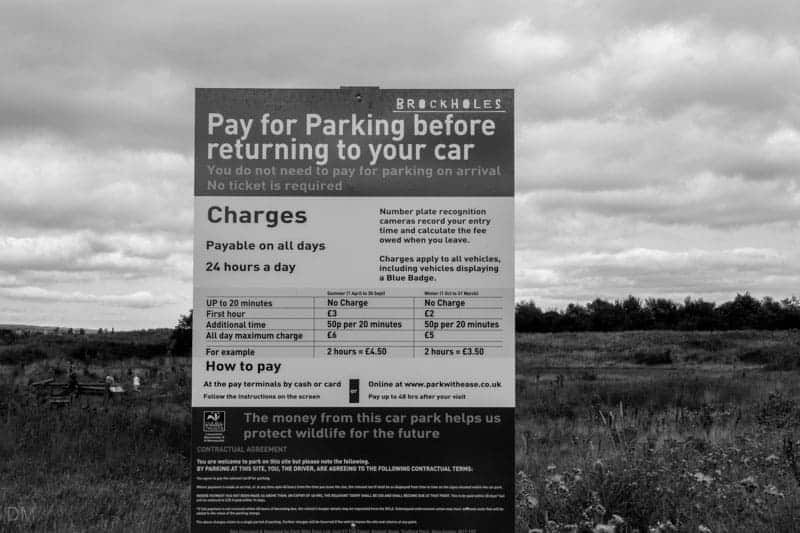 Entry to Brockholes is free of charge. Parking charges are fairly high though. It’s best to think of them as your admission fee. It costs a lot to run this place and parking fees are their major source of revenue. At the time of writing (September 2015) charges in the summer are £3 for the first hour and 50p for every additional 20 minutes. The charge is capped at £6. Charges are slightly cheaper in the winter (October to March). The car parking system is rather nifty. A camera records your vehicle registration number when you arrive on the site. When you leave you simply enter your registration number at the pay machine and the fee is calculated. Payment can be made in cash or using a card. Brockholes is situated just off Junction 31 of the M6 motorway. Management recommend using the postcode PR5 0AG to find it but our sat nav wanted to take us elsewhere using this. It’s very well signposted from the motorway junction so we just followed the brown tourist signs instead. There are no train stations within walking distance. The nearest station is Preston. Several bus services from Preston city centre stop near the reserve. 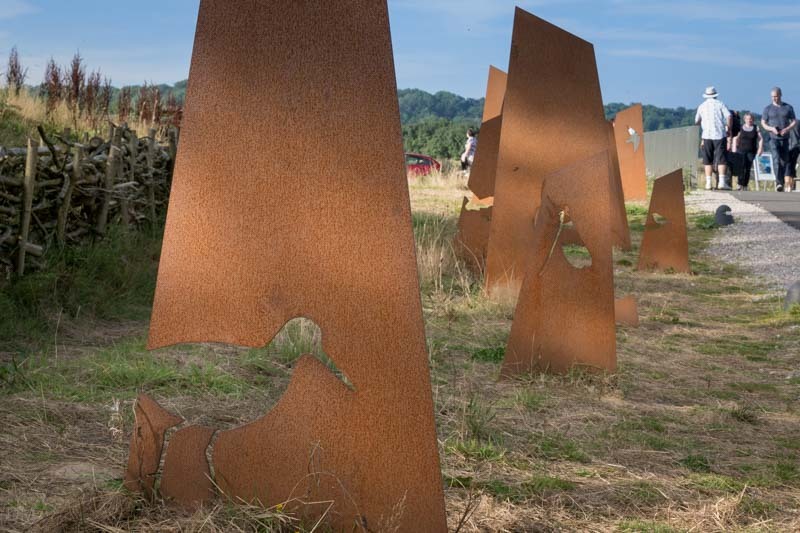 Further details can be found on the official Brockholes website. Visitors should note that dogs are not allowed. Fishing, swimming and BBQs/fires are also prohibited. Picnics are permitted and there are a number of picnic tables around the site. Although the Tickled Trout Services lie just off Junction 31, many drivers on the M6 prefer to use Brockholes as a stopping point on a long journey. 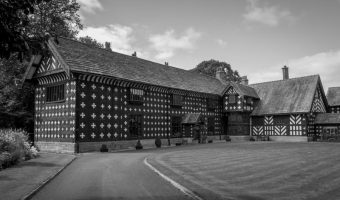 Other attractions in the area include Samlesbury Hall and Huntley’s Country Stores. 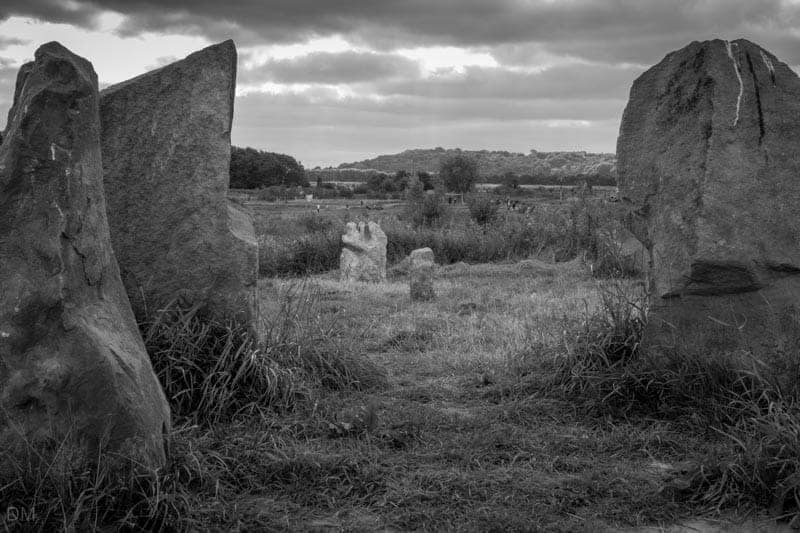 Both are well worth a visit and are just a short drive from Brockholes. Map showing location of Brockholes.